5-Ball Faceout mounts directly to the wall, an excellent way to display multiple garments on hangers. 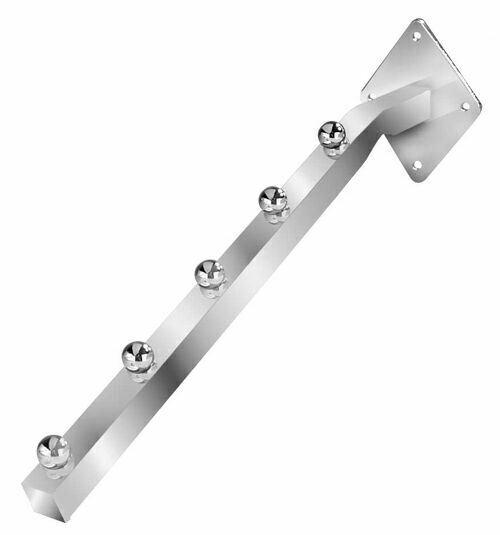 Wallmount backplate is designed to screw directly into wall. Protrudes from the wall 13.5"long, length of the slant arm is 13". Ball stops allow cascade presentation of garments. Made of square tubing. Screws not included. Color: chrome. Price: $4.25 ea.